Dr. Sharon A. Mitchell has worked as teacher, counselor, psychologist and consultant for several decades. Her Masters and PhD. degrees focused on autism spectrum disorders and helping kids to reach as high a level of independence as possible. Her presentations have reached thousands at regional and national conferences. .It's followed by Autism Runs Away. When six year old Ethan gets overwhelmed, he flees blindly. One school has already asked him to leave, fearing that they can't keep him safe. Will his new school be up to the challenge? 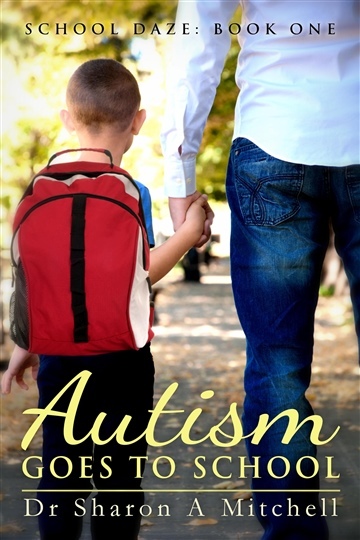 Book 3 in the series, Autism Belongs, is about Manny and his family. Manny is nonverbal and as he has grown, so does his level of aggression. His parents cope the best the can, remaining cocooned in their home, tiptoeing around their son. When he's invited to go to school, his parents can't believe that he could belong. B,t could he? You bet!Meet Kyle, Ben, Mel and the other characters you read about in the Amazon bestseller Autism Goes to School and see how they’ve grown and progressed. In Autism Talks and Talks, Karen is a highly verbal 12 year old who find social situations hard. Join the kids and staff of Madson School as they learn and grow and welcome others with special needs into their midst. The fifth book in the series, Autism Grows Up, shows what life too often becomes for high functioning young adults on the spectrum, and ways to make positive changes.